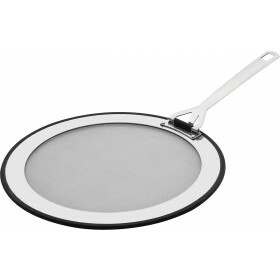 Perfect for sautéing vegetables and frying meats. Durable satin black enamel finish. 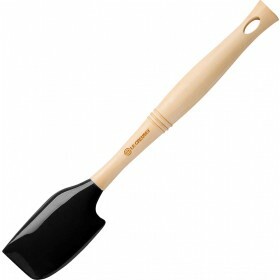 Traditional wooden handle stays cool to touch. Side helper handle for easy lifting or carrying. 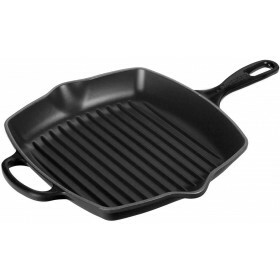 The Heritage Cast Iron Sauteuse by Le Creuset is ideal for sautéing vegetables or frying meats. 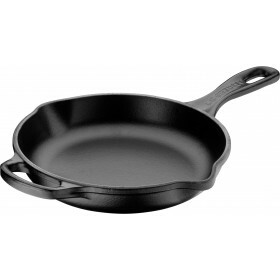 Cast iron enhances the cooking process by evenly distributing heat and sealing the outside of food quickly, locking in the maximum amount of moisture, nutrients and flavour. 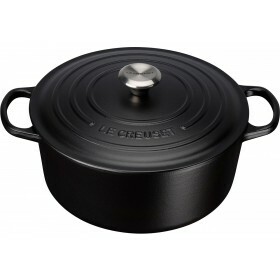 The Sauteuse cooking surface features Le Creuset's specialist satin black enamel finish. 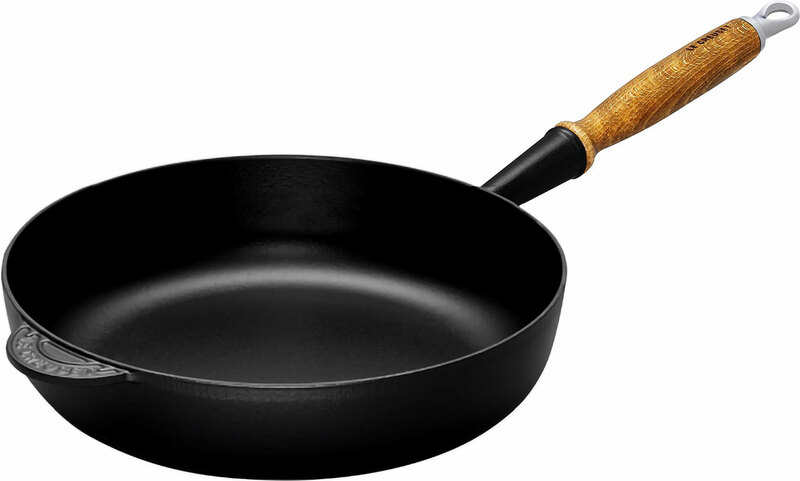 Very durable, the satin black enamel interior has been especially designed to protect the pan and will develop a natural patina over time. Once a patina covers the cooking surface the release of foods improves such that little, or no fats or oils are required for healthier cooking. 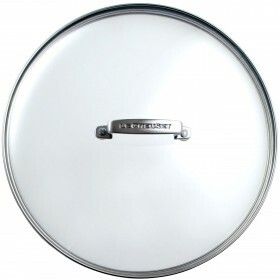 It comes with a traditional wooden handle, and a convenient side helper handle makes it easy to lift and adds control when moving between stove and table. Not suitable for use in the oven due to the wooden handle. Amazing! Just Amazing! Wife loves it and has cooked a awesome steak in the oven something we have never done before, she also says it has balanced heat transfer. 2 thumbs up for me. Quality product and fast delivery! Perfect thanks & very quick too!